Privacy Check: How Does Password Protect Photos on iPhone? Our iPhone's store a lot of our private information, and if we're not careful, that private information can leak into the hands of the wrong person. And nothing is truer when we're speaking about our photos. Every now and again we may have a photo that we simply don't want to share with others. Regardless of reasoning, sometimes we just want to keep our photos private. Today we'll teach you how to password protect photos on iPhone. So do you know that how to password protect photos on iPhone? Can I lock photos on iPhone? The simple answer to this question is yes, and there are two ways to do it. Step 1: Open the Photo app on your iPhone. Step 2: In the upper right hand corner of the app, click on "Select". Step 3: Click on the photos you would like to hide. Step 4: In the bottom left hand corner of the screen, click on the "Share" button. Step 5: When the secondary menu pops up, click on the "Hide" option and then click "Hide Photo" to confirm your decision. Step 1: Launch your Photo app. Step 2: In the bottom panel, click on "Albums". Step 3: Scroll down until you find the "Hidden" folder. 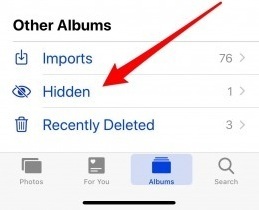 Click on it to access your hidden photos. Step 1: Launch your photo app and click on the "Albums" tab. Step 2: Scroll down until you find the "Hidden" folder and click to open. Step 3: Select the photo that you want to unhide. Step 4: In the bottom left hand corner of the screen, click on the "Share". Step 5: Scroll over and click the "Unhide" option. Step 1: Go into your Photo app and select the photos you would like to hide. 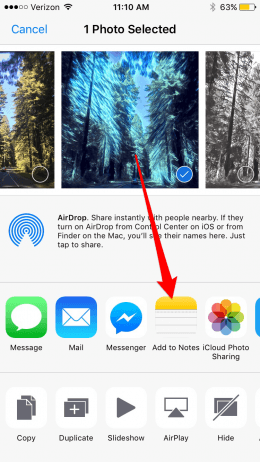 Step 2: Click on the "Share" button and save the photo to your Notes app. 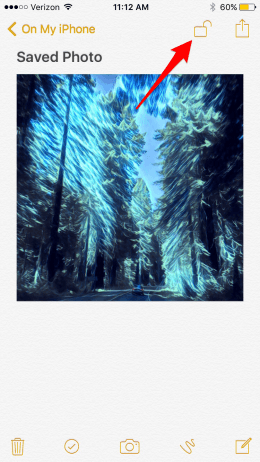 Step 3: Open your Notes app and click on the note with the photo. Step 4: In the upper right hand corner, click on the lock button. Step 5: Return to your photo app and delete your photo from here. You should also delete it from your "recently deleted" album. Do you know that there is another way better than password protect photos on iPhone? If you have photos that you need to get rid of indefinitely, hiding them or deleting them will not do. 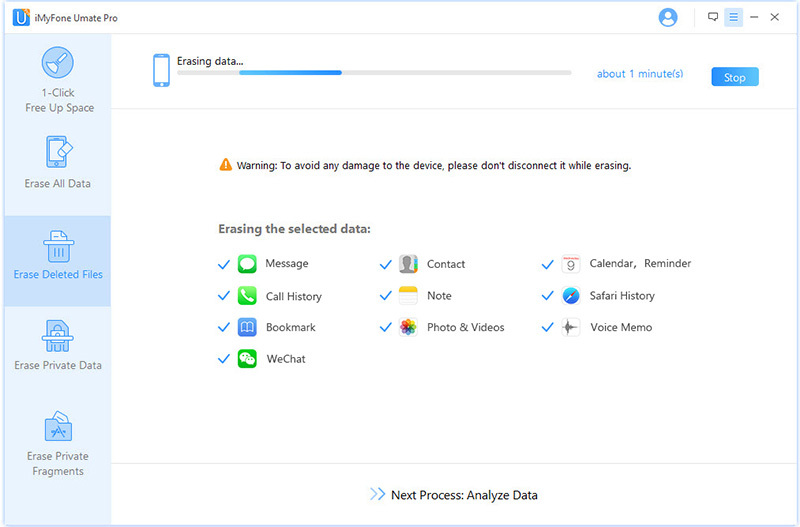 Even if you delete your photos from the recently deleted album, they are still withheld in the memory of your phone. This is true even of photos you deleted 5 years ago! 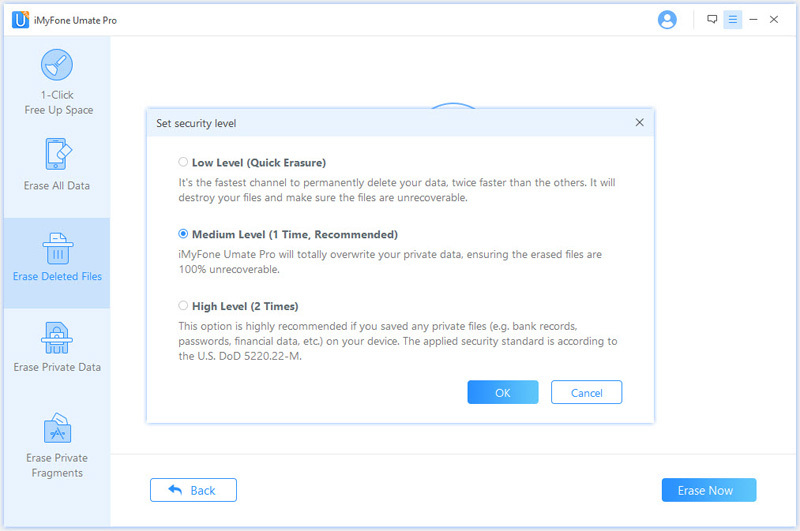 If you want to keep your private photos private, the only way to do so is using an advanced software like iMyFone Umate Pro to help you protect your photos. 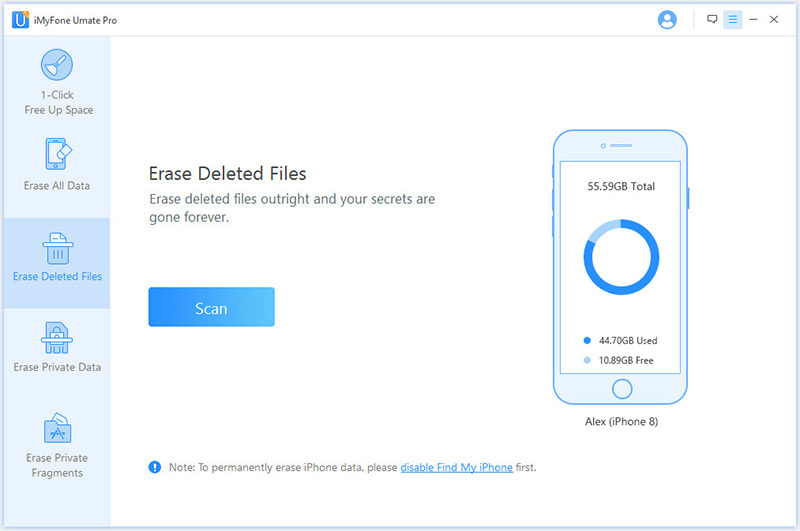 You can not only erase your photos and private data, but you can ensure that they are irretrievable in the future. 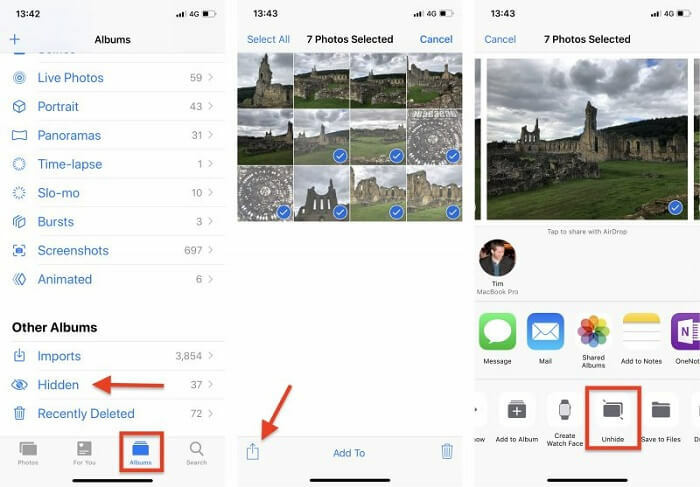 You can back up your photos in bulk to your computer and wipe them out of your iPhone completely. 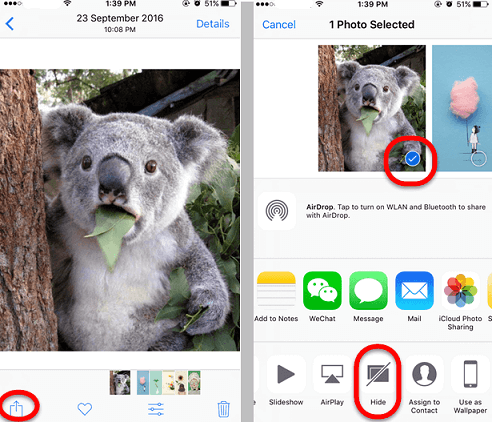 You can even find out the deleted photo on your iPhone and clean them permanently. You can manage more private files and information from third-party apps than just photos. 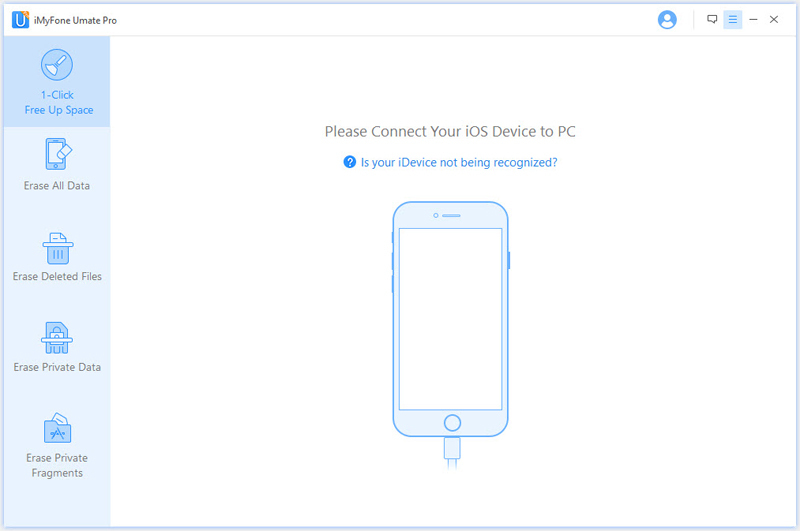 Step 1: Download and open iMyFone Umate Pro, connect your iPhone to your PC. Step 2: Click on "1-Click to Free up Space" and then “Quick Scan”. Step 3: Click on the "Clean" button on the Photos. Step 4: Choose “Export & Delete”. 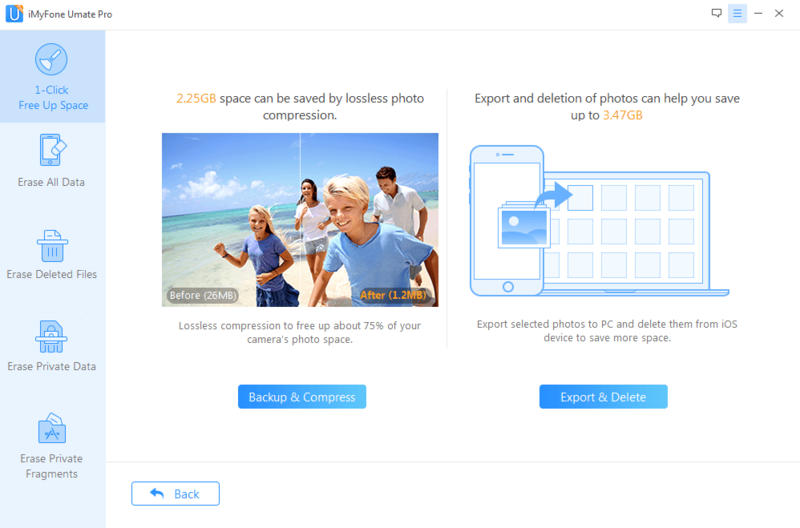 Than you can save those selected photos to your PC and clean them completely on your iPhone. Step 1: Download and open iMyFone Umate Pro. Connect your iPhone to your computer. Step 2: Click on the "Erase Deleted Files" tab and click "Scan". Wait for process to complete. Note: If you want to delete current photos, you can also erase them through Erase Private Data . Step 3: Select the files you want to delete permanently and click "Erase Now". Step 4: Select and confirm your security level. Step 5: Type "delete" in the box to confirm your choice and click "Erase Now". Please note: once your photos and files have been erased, they cannot be recovered. When it comes to password protect photos on iPhone, there are always methods for you to make it. 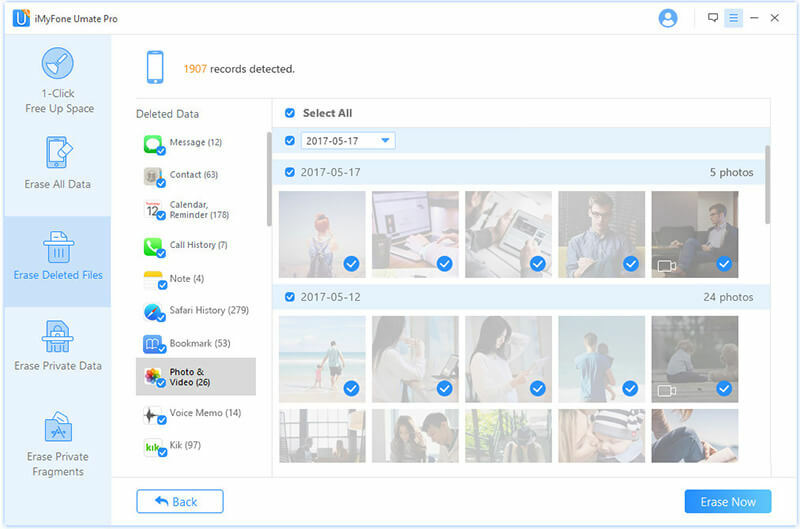 iMyFone Umate Pro offers a permanent solution for deleting and removing private photos and files from your phone. Unlike when you hide your photos using the hide or notes option, deleting your files with Umate Pro is irreversible. It is the permanent solution for erasing photos that are for your eyes only!